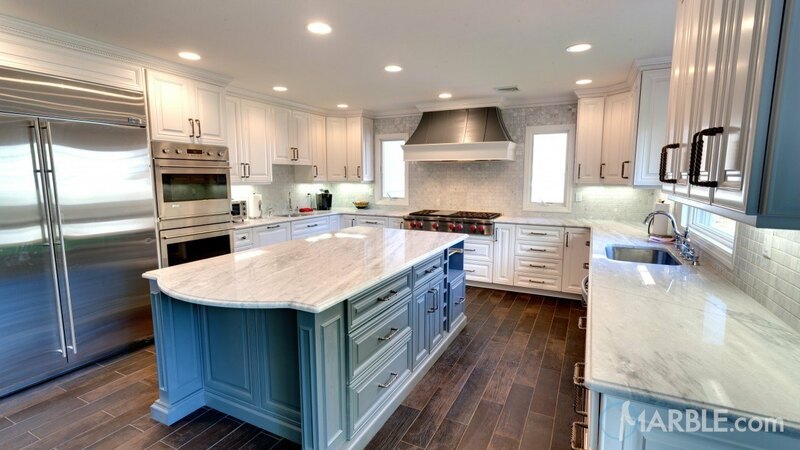 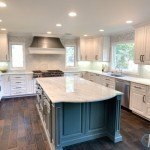 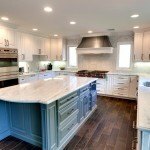 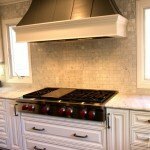 These Classic White Lunar Quartzite counter tops have an Ogee Edge that gives them a classic look. 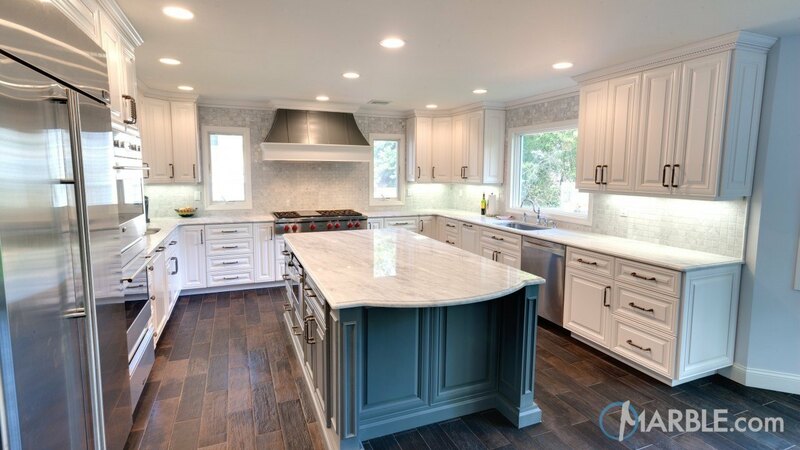 The windows framing the counter top bring a splash of light to the counter top and bring out the color variations. 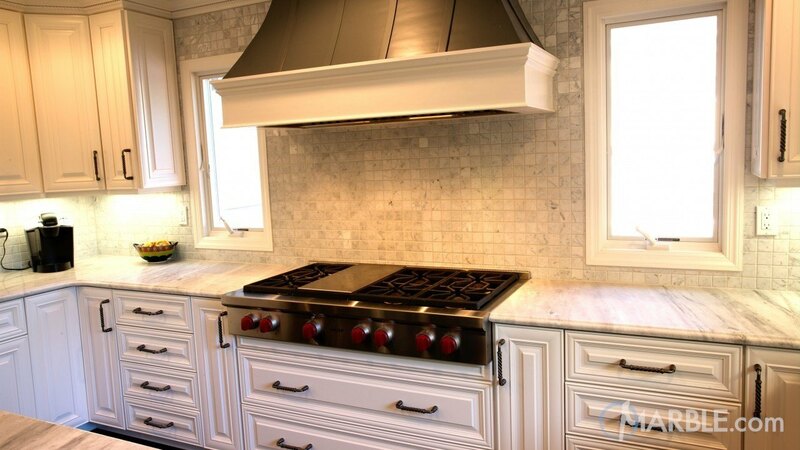 The handle pulls perfectly mimic the hood over the cook top and the tiles on the wall harmonize the entire kitchen.